Water is necessary for realty construction. The water shortage thus affects it adversely. As the summer is approaching, water shortage has become one of the main keywords in the headlines. We know that people are affected. Are the people alone affected? No, many industries are also affected with it. Water shortage severely affects construction. Construction sector is one of the many. In many of the cities, we can see many halted construction sites, most of which are halted due to water shortage. If this is the case on the verge of summer, what would be once the summer gets severe? In India the summer has, so to say, only begun and will get over only by June with the monsoon wind bringing sufficient rain. Due to the weak rain last year, the water shortage is expected to be severe this year. Some of the authorities have already banned the builders from using the groundwater. Construction has become tougher with water shortage. The builders will have to fetch water from other sources. This will create additional cost to the builders who will pass these additional expenses to the property buyers. So as a result property prices will be affected. Realty construction is severely affected, says Builders Association of India’s Kerala Chapter chairman Alex P Cyriac. He added that earlier the people used to provide water free of cost but now they demand charge for it. The charges are hiked. If the earlier rate was Rs.800 of Rs.1000 per a 10000 liter tank, the rate has now doubled. The developers now have to pay almost Rs.2000 for the same, Mr. Cyriac added. This is an additional cost to the builders who are already affected by the price hike of other raw materials. 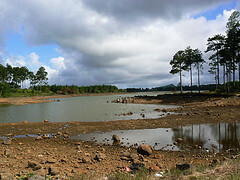 Water shortage is more severe in urban areas. Rural areas are not much affected. 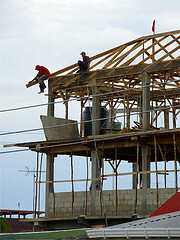 Most of the construction works are taking place in the urban areas, and so it will have greater impact in these areas. In the opinion of the experts, the hike of property prices is not the issue. On the other end, they say, if the water shortage turns severe, no construction will be possible, leaving many more people homeless. This entry was posted in Real Estate News and tagged Construction Sector, housing sector, Property Prices, Real Estate Sector, underground water, water shortage by designer. Bookmark the permalink.